We read about it, hear the stories and see young people with advanced degrees in architecture, engineering, and literature sitting in the piazza bar letting the days pass them by. The economic crisis that has racked Italy has had a profound effect on young people. If one lives in a little village like Pontelandolfo and loves living here than finding a job is nigh impossible. This is southern Italy – it doesn’t have the manufacturing found in the north. Nor, does it appear to have regional governments that do something about the problem. What’s a young person to do? Sit and stare? Polish your friends nails while slowing sipping your €.80 bicchiere di prosecco in the bar? After university, some twenty-five to thirty-five year olds do just that. Others like Elena Baldini and Jean Luca Diglio create their own prosperity! I wanted to call this story “Entrepreneurial Elena” but alliteration seemed just a wee bit lighthearted for what I hope will be a series on the young entrepreneurs who are making their own employment opportunities. Architect, Elena Baldini – who I did first meet years ago in Bar Mixed Fantasy – has the passion and drive to be successful at whatever she puts her mind to. Last summer, she joined forces with Gianluca Diglio – who grew up in an entrepreneurial family – get his family’s back story here – http://wp.me/p3rc2m-fd. 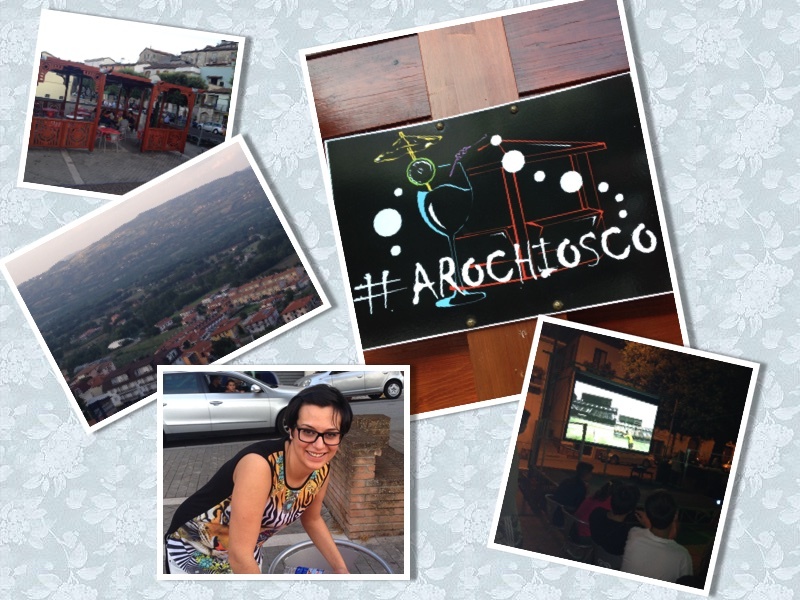 They created Arochiosco, a neat summer time bar perched on the side of a mountain. Found in Morcone’s Piazza M. Giuseppe Manente, the charming outdoor space features wooden gazebos with a birds eye view of Pontelandolfo, Lago Campolattaro and incredible valleys. Sitting there was like sitting in a magical tree house. Last summer, Jack and I originally went to Arochiosco to be supportive of the two young Pontelandolfesi. It was so delightful, we went back just to go back. Sitting there writing, I was reminded of afternoons spent in Fieosole – sipping prosecco and staring out over the rooftops of Firenze. There was one HUGE difference – price point and lack of tourists! For €3 we got a bag of chips, bowl of nuts, Campari Soda and white wine. We also got to sit comfortably and watch the river of life that flows through Morcone. Wait a minute? How could two kids start a bar? That takes cash for inventory, tables, chairs – who built the wooden structures? What is the real back story here? Well folks – networking 101! 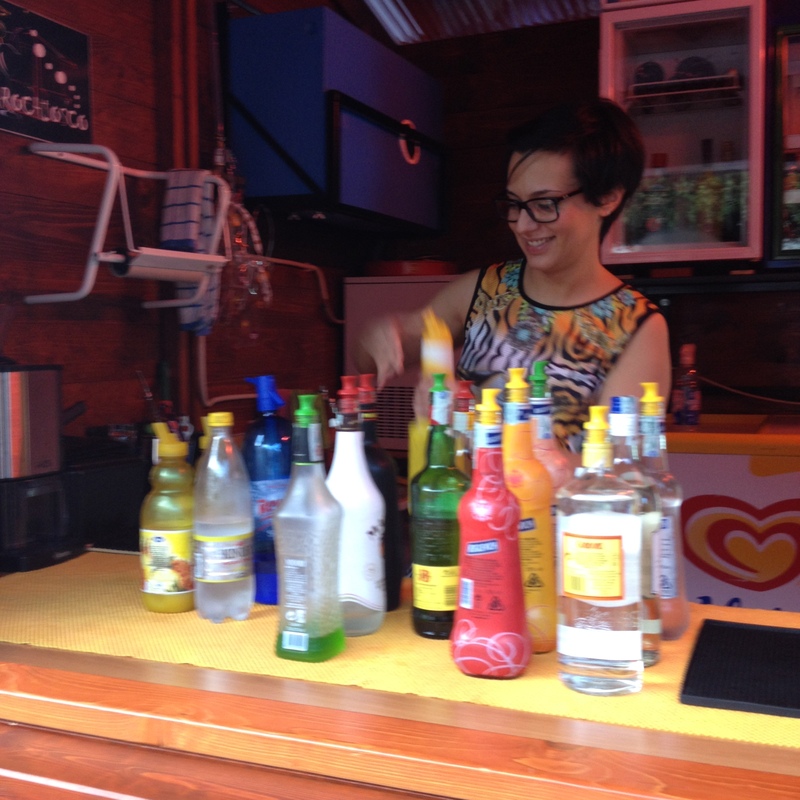 There is a bar in Morcone – directly across the street from the piazza. The owner after talking to Elena and Gianluca made an offer that the two hardworking youngsters couldn’t refuse. Network? Si! The owner was the uncle of Gianluca’s wife and he often thought of expanding to outdoor tables on the piazza. Since his bar was a one person shop, he couldn’t do it. Gianluca alone couldn’t help him but the incomparable duo – Gianluca and Elena could and did. 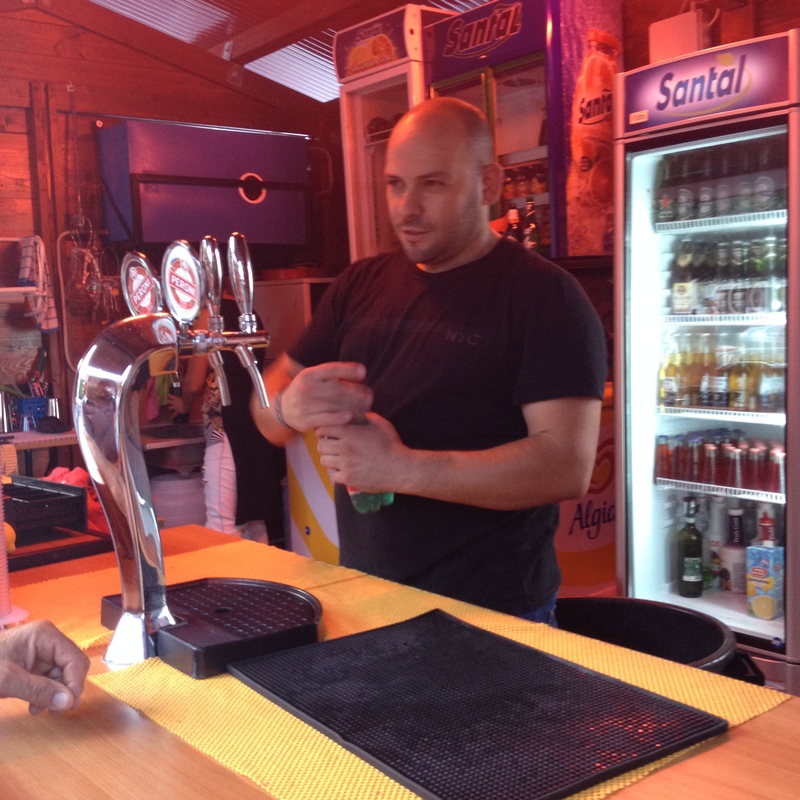 Elena had the bar experience – having bar tended and Jean Luca had the contact. They worked out a percentage deal – did the hard work and created great seasonal jobs. Networking 101! Arochiosco open again this summer. We will be there. I applaud their drive and ability. I also applaud the other young people of Pontelandolfo who are creating their own futures. Congratulazioni! Love to hear about young folks making their own way. Have a prosecco for me.